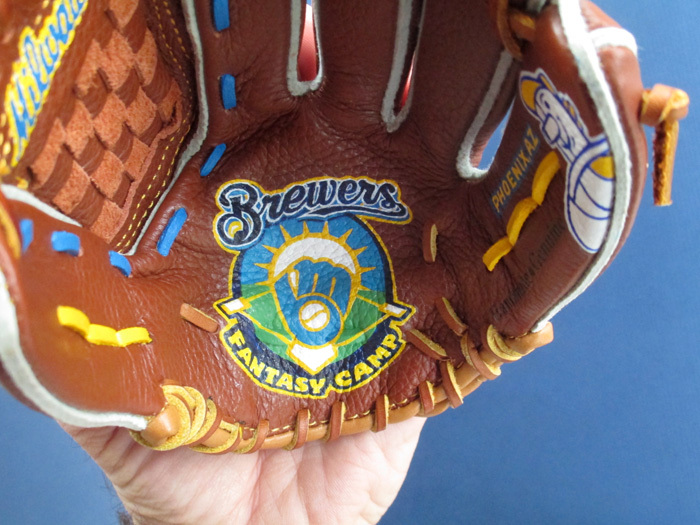 Pleased to announce that I'll be guest of the Brewers Fantasy Camp in January. Helping to add to the fun on tap for the players, I'm creating special baseball glove paintings for the Fantasy Camp and more. 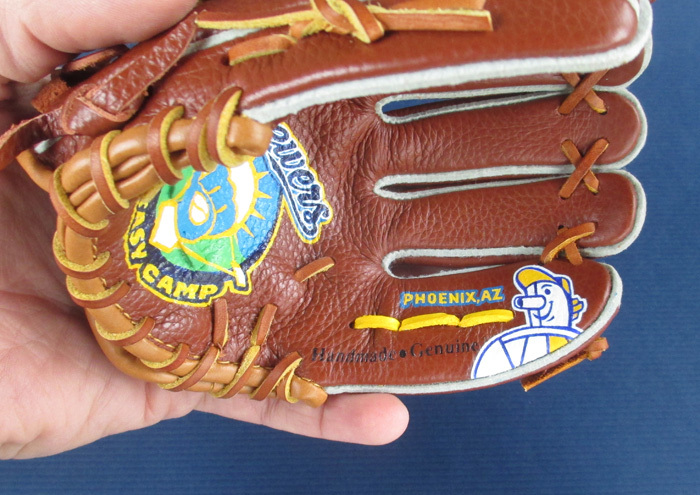 Custom baseball glove art being created for the camp includes this Bergino Mini-Glove adorned with the Brewers Fantasy Camp logo. Love that classic 'mb' glove logo! Also on the glove is a glimpse of Beer Barrel Man, a Milwaukee baseball icon going back to the 1940s when the Brewers were a minor league club. And the logo word 'Milwaukee', as it appeared on their road jerseys back in the 1980s. All this on a glove that's only 6 inches tall meant to hold business cards. While in Phoenix with the camp I'll be making an presentation about my work and will have glove paintings featuring players on display. 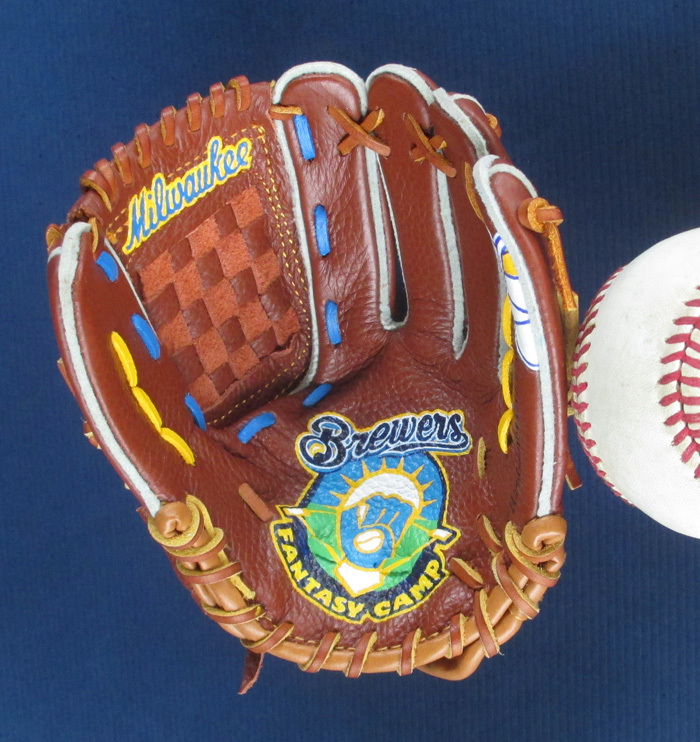 Glove art with player portraits commissioned by the Brewers will be unveiled at Camp in January. Big league thanks to the Brewers Fantasy Camp team for inviting me to contribute to the camp experience. Follow Brewers Fantasy Camp on Facebook and Twitter. If you'll be in Phoenix area January 21-24 and would like to see my work, please contact me. And if you're interested in a custom mini-glove painting with your team or corporate logo, let's talk.